The mind-blowing, face melting, nothin' but a good time musical Rock of Ages will return to the stage this fall with a tenth anniversary touring production. The Tony Award-nominated musical will hit the road starting October 2018 with an all new production. City stops and casting for the tour will be announced at a later date. It's 1987 on Hollywood's Sunset Strip when a small-town girl meets a big city rocker. As they fall in love in L.A.'s most famous rock club, Rock of Ages allows fans to rock out once again to their favorite '80s hits. Featuring the music of iconic bands such as Styx, Poison, Twisted Sister and Whitesnake, among many others, this tenth anniversary production features a dynamic new cast revisiting the larger than life characters and exhilarating story that turned Rock of Ages into a global phenomenon. 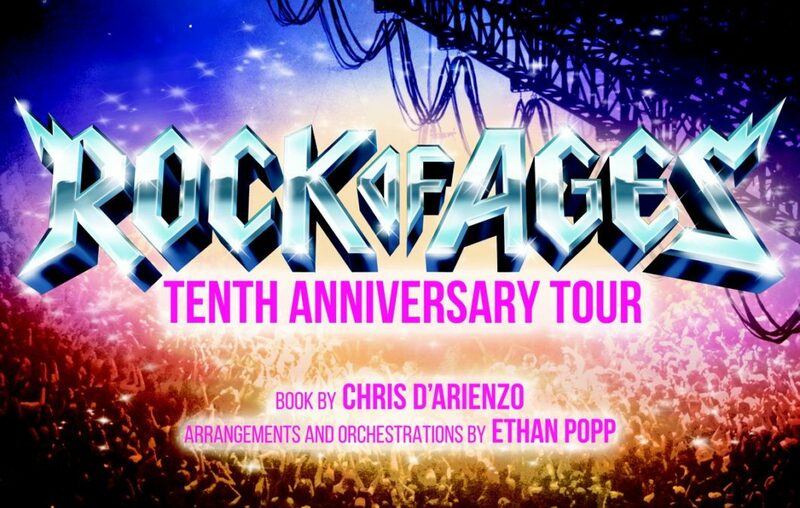 Rock of Ages opened in April 2009 on Broadway and played more than 2,300 performances at the Brooks Atkinson and Helen Hayes Theatres, earning five Tony Award nominations, including Best Musical. The Broadway production featured direction by Kristin Hanggi, choreography by Kelly Devine, a book by Chris D'Arienzo and music supervision, arrangements and orchestrations by Ethan Popp. The show also enjoyed successful national and international tours and, in 2012, was turned into a major motion picture by New Line Cinema and Warner Bros. Pictures.